Attention! !This is the variant special for solvent ink printers . This paper is not suitable for normal printers, it can even damage your printer. If you're unsure please send us an e-mail with brand and type ink you use and we will inform you about the paper you need. 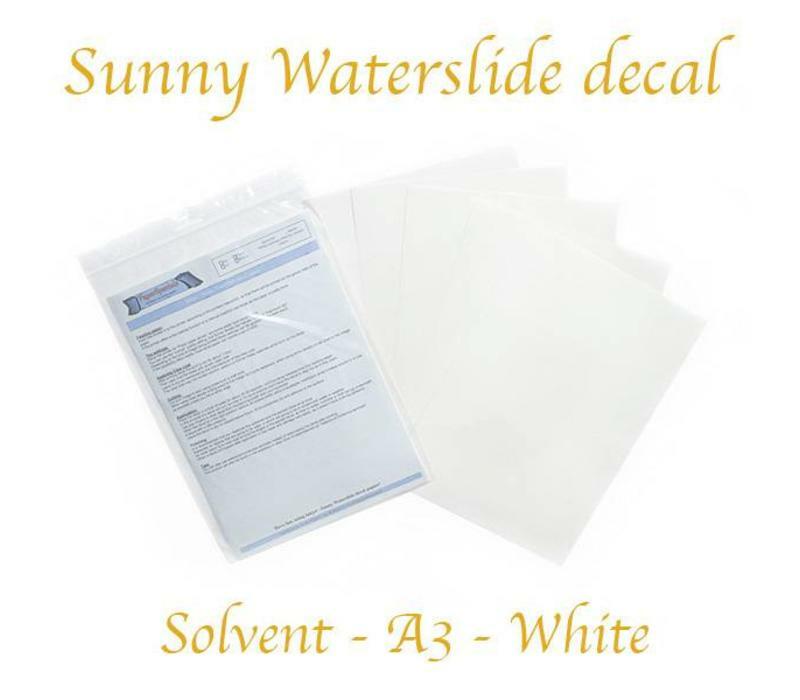 (note: The product images shows a white backing instead of a blue backing version) About Solvent Incal waterslide photo decal paper: Solvent incal decal paper is completely new product produced for Roland UV solvent-based inks. This paper shouls also work with other solvent-inks. 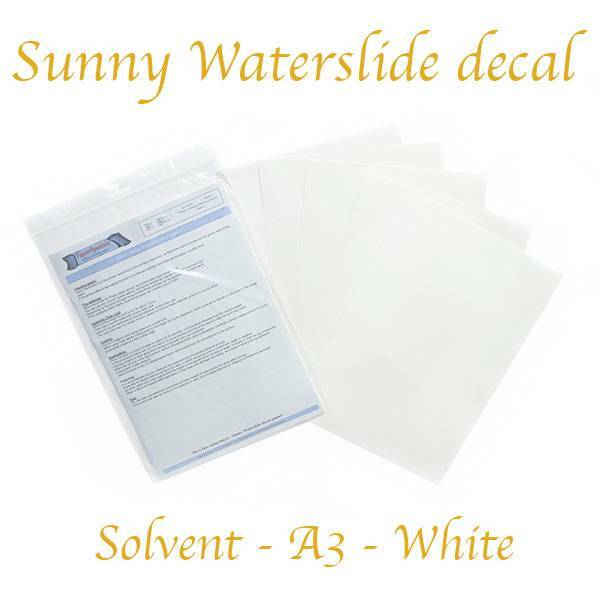 Sunny waterslide decals are high-quality sheets with a very good adhesion and dissloves easily from the carrier. Decals are generally intended as a decoration but not for decorating consumables. If you really want to do this, we recommend working with a clear varnish or epoxy (Envirotex) for the maintenance of the decal. The decal paper excist of an adhesive layer and a water soluble layer. The final decal consists only of ink with an adhesive layer below it. 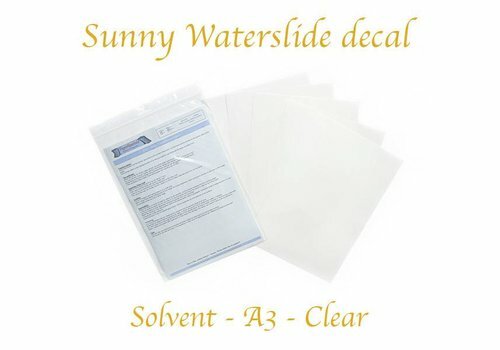 Solvent decal paper does not need to be finished first, but it can make it easer to positioning, it also protects the print on the decal. For the type of clear coat you have to experiment, acrylic coat attached to the decal but of it adheres to the ink it depents on type and brand. A 2-k car paint can be used also. Please try before use.